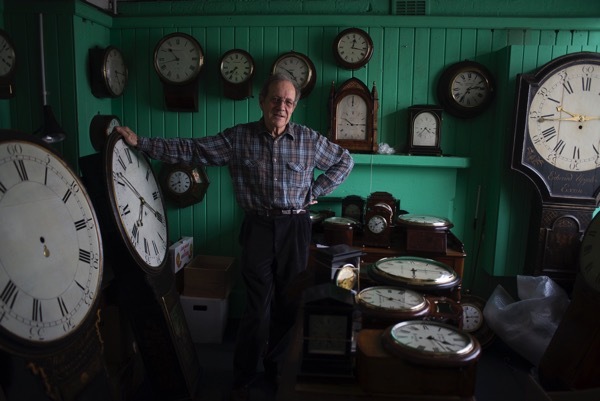 Contributing Photographer Sarah Ainslie & I made the trip to Camden Town to visit Edward Burd, Horologist, in a tottering house which must surely have more clocks than any other in London. 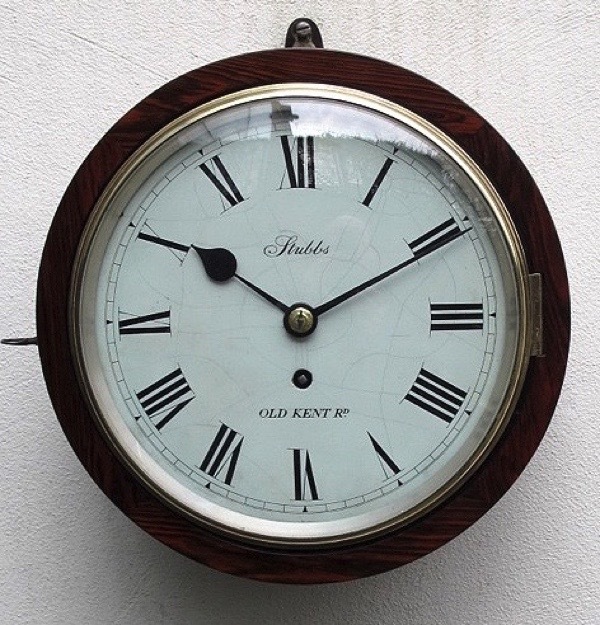 It made me realise how much I miss the reassuring sound of ticking, interspersed by regular chimes, which was once the universally familiar background of life yet is now slowly vanishing from the world. “My father Lawrence Burd was a schoolmaster, and a man of obsessions that he would pursue to the highest possible level – photography, alpine gardening and horology. He did all the British Institute of Horology exams and became a Fellow of the Institute, then after about four years he dropped it completely. Just about that time, I was an irritating fourteen year old looking over his shoulder at what he was doing, asking ‘What’s that for?’ and ‘Why are you doing that?’ Instead of telling me to bugger off which any sensible person would do, being a patient schoolmaster, he explained to me what was going on and I was fascinated by it. So from that age I have always been interested and I kept it up a bit but I became an architect and, while I was struggling to set up my own practice, I could not really do much about it. Yet I kept my hand in, I went to auctions and bought the odd clock. Then, when I retired about twenty years ago, while I still had a bit of energy left I thought I should pursue this thing seriously. 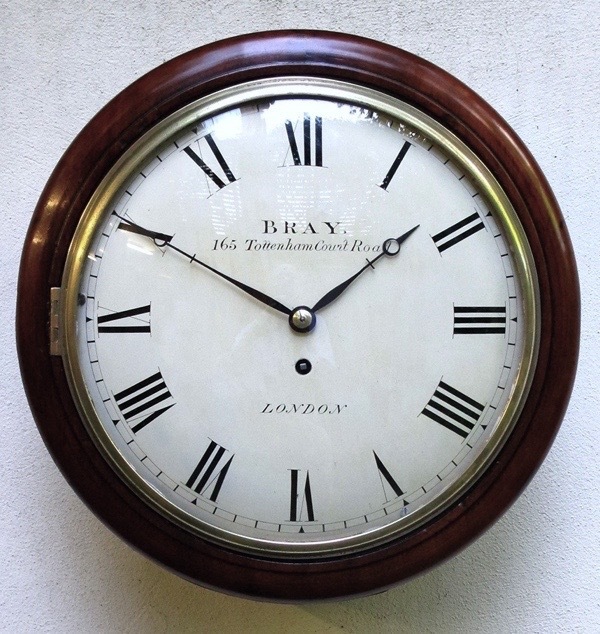 My speciality is English wall clocks which I always find interesting partly because they were never designed to go in drawing rooms, they were always the ‘workhorse’ clock which is why you see them in railway stations and schoolrooms. What I like about them is their mechanisms are very simple and extremely efficient and they are very good timekeepers. There’s no pretensions whatsoever in the design of the case. If they had been going in a drawing room, they would have looked very different. That always appealed to me, that they are unpretentious. Also, they were about the only thing I could afford when I first started. Added to which, if you studied them for a fairly short period of time, you probably knew more about them than most dealers. 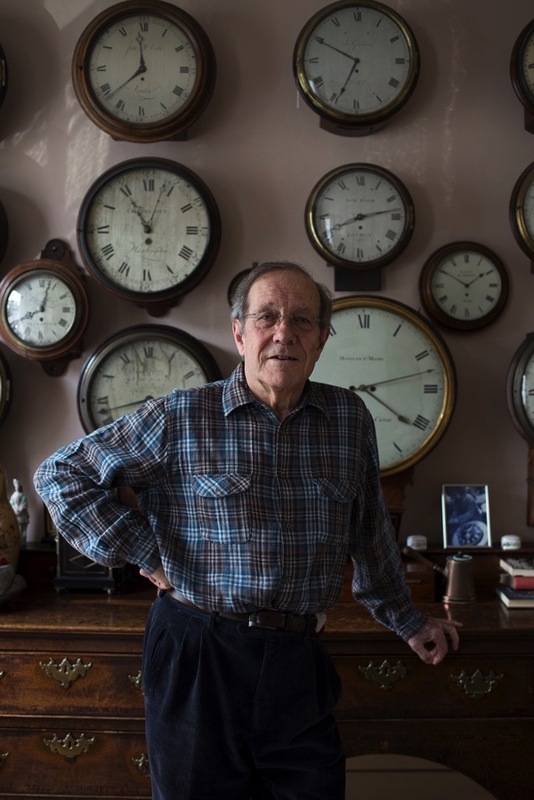 My father taught me a lot, because he had to learn quite a lot of practical knowledge and make all sorts of things to become a member of the Institute of Horologists. I cannot do all that but, if the clock is not too complicated, I can do a basic overhaul of a wall clock. Ten or fifteen years ago, it became a business. 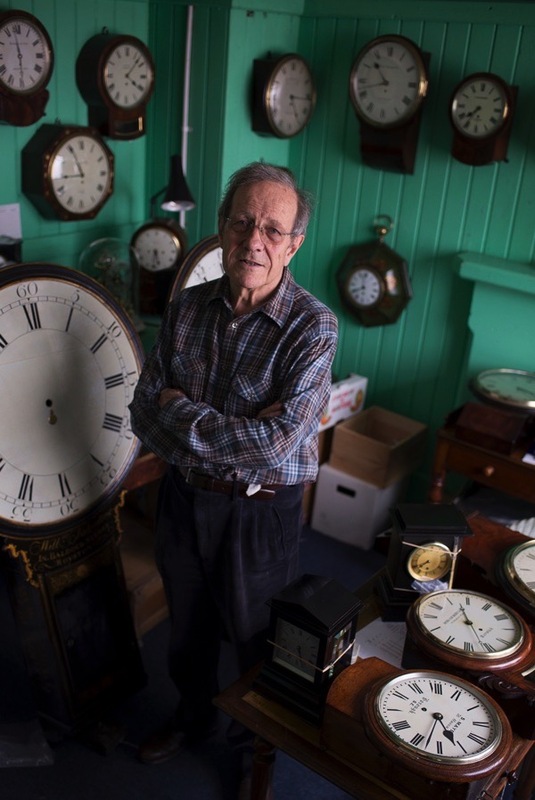 I would go to a sale to buy a nice clock for myself for my collection and I saw other good clocks being sold very cheaply, so I thought, ‘I could buy that and sell it’ – and it went on from there. I have quite a lot. 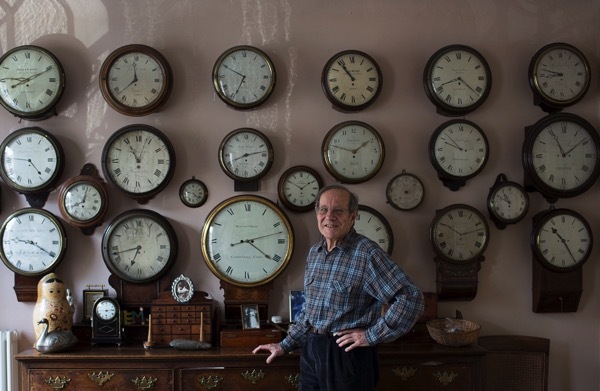 My collection is about fifty but, altogether, I must have about a hundred and fifty to two hundred clocks. 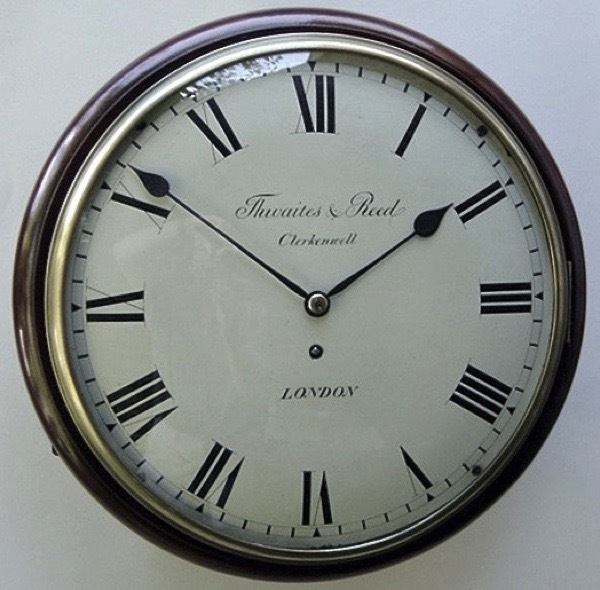 After about 1840, nearly all clocks were made in factories in Birmingham or London, predominantly in London – Clerkenwell was the place for clocks. When I first became interested in the sixties, all the trades were still in Clerkenwell, supplying and fitting glass, engravers, gilders, dial-painters and materials shops. You could walk around and see them all in fifteen minutes. 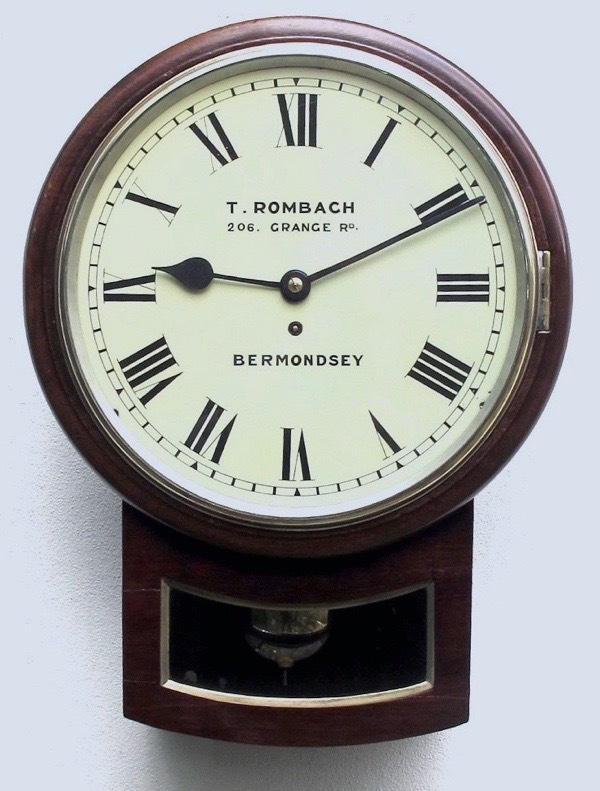 My collection is English wall clocks dating from 1750 through to about 1900. The design of the cases changed quite a bit in that era but the movements remained exactly the same. 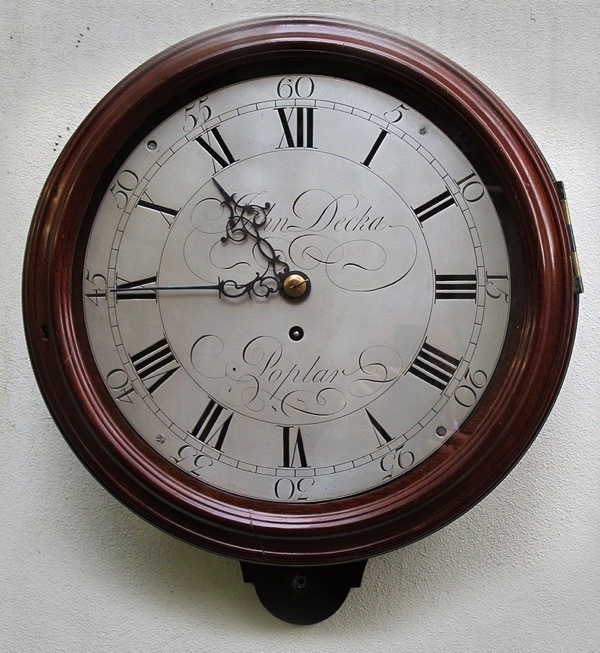 There were not many wall clocks before 1750 because there were not many offices, they were made for solicitors’ offices around 1720 but there were few shops to speak of, it was all markets. 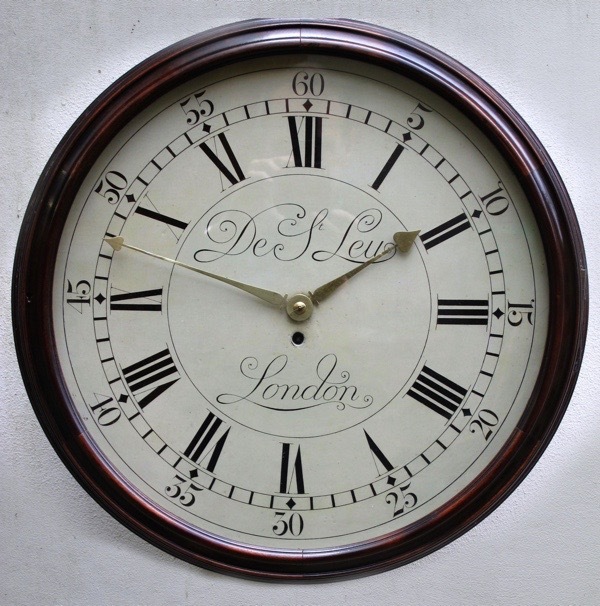 An early English wall clock would be about 1780 and they were below stairs in big houses. 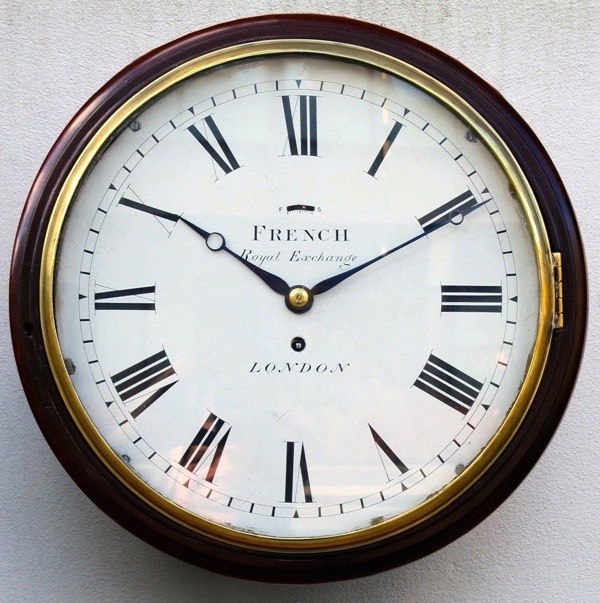 It was only at the beginning of the nineteenth century that wall clocks became current and they did not become widespread until the 1840s. A clock is a mechanical object which is comprehensible, these days you have no idea how any device works and, if it doesn’t work, you might as well sling it. Clocks are so incredibly easy to understand. You’ve got a spring, a chain, a series of wheels, the escapement and the pendulum. You wind it up to give it the power and isn’t that clever? So simple and so repairable. It works and it tells the time. What gives it accuracy is not the escapement but the pendulum. The rate of oscillation depends upon the length of the pendulum. Most pendulums have a rod made of brass which is much easier to work than steel, but brass shrinks and expands much more than steel. So timekeeping with a brass pendulum is less accurate – within a couple of minutes a week – whereas a steel rod will keep time within about half a minute a week. At the end of the winter when night-time temperatures get low, you have to regulate them because the pendulum will shrink in the cold, become shorter, and the clock will go faster. A hot spell will make the metal expand and clock will slow down. My early clocks were made by craftsmen without power tools or electric light, just working by flickering candles. It is extraordinary that they managed to produce clocks of such enormous quality and so accurate. I can sit and watch them for hours. They’re so lovely to look at, I can imagine the sound! Any distant relative of Lord Cut-Glass ( “Under Milk Wood” ) ?? How grand. 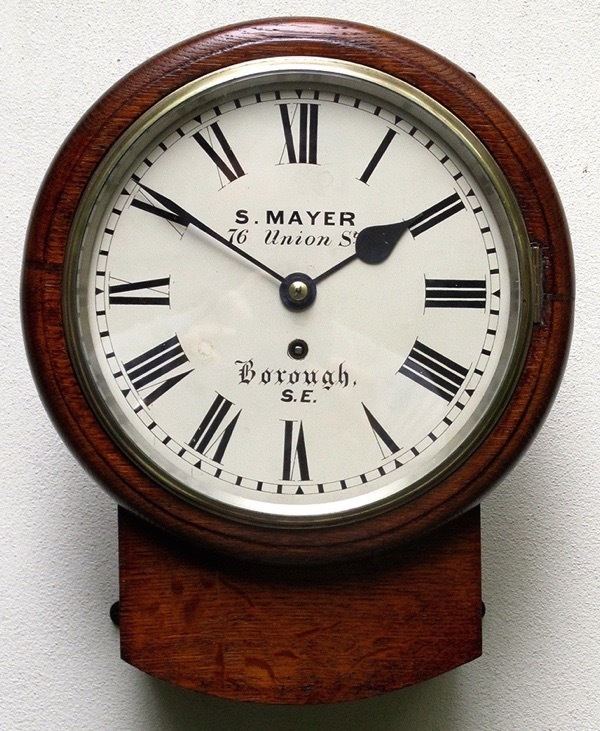 I love the close-ups of each clock “face” — functional beauty at its best. Thanks for ushering us into another specialized world each morning. GA, another great human interest story – thanks so much. I love old schoolhouse clocks myself. Funny thing (I still substitute teach) when students go to write a “pass” and have to put down the time, many can’t read the wall clock. They have to sneak out their cell phone and write it digitally. Wonderful clocks. I’m going to wind up my little clock just to hear it tick-tock, tick-tock. Lovely to look at these clocks. Thank you. 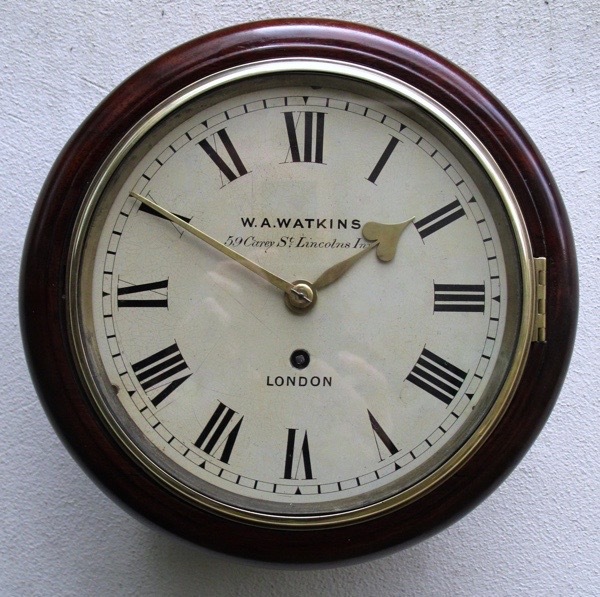 I am sitting here listening to my long case clock ticking and I agree there is nothing like it, ‘he’, he has to be he as his name is Joseph having been made very early in the 18th century by Joseph Jackman of London Bridge. I often talk to him and wish that he could tell me about all the fascinating history that he must have seen during his 300 years plus.